A few hours from Cairo lies a desert that will make you feel like you’ve landed on the surface of the moon. Formed by centuries of erosion and sandstorms, these unique calcium rock formations crop up across the landscape like great abstract statues. Some resemble food and have been given names like mushroom while others are named monolith. The most characteristic of these natural formations is the famed chicken and tree set. This is a natural collection of chalk-rock formations not found elsewhere. If you get the opportunity to spend a night camping in the desert with Bedouin guides you will observe the changing faces of these formations as the bright sun sets and sinks into a shadowy dusk. At sunset the calcium sea reflects all the colours of the sky making this an unforgettable experience. During the full moon the desert gives off a mystical iridescent glow. The Black Desert is a dark rocky area which owes its appearance to volcanic action and the abundance of iron ore. It is located in the Western Desert near Bahariya Oasis a little to the North of the White Desert. It is approximately 50 km to the South of Bawiti. The mountains have eroded to coat the desert with a layer of black powder and rocks giving it its name. Towards the end of the Black Desert are black volcanic hills that ages ago erupted a dark volcanic material called dolerite, which is what the black rocks are made of. Climb up the English Mountain which is the highest point in the Black Desert and you will be awarded with an amazing view of the strange landscape. The Black Desert can be seen as you pass the road from Bahariya to Farafra. Gebel Izaz or Crystal Mountain is actually a ridge that forms between Bahariya Oasis and Farafra Oasis in the Western Desert of Egypt. This ridge includes a unique structure. 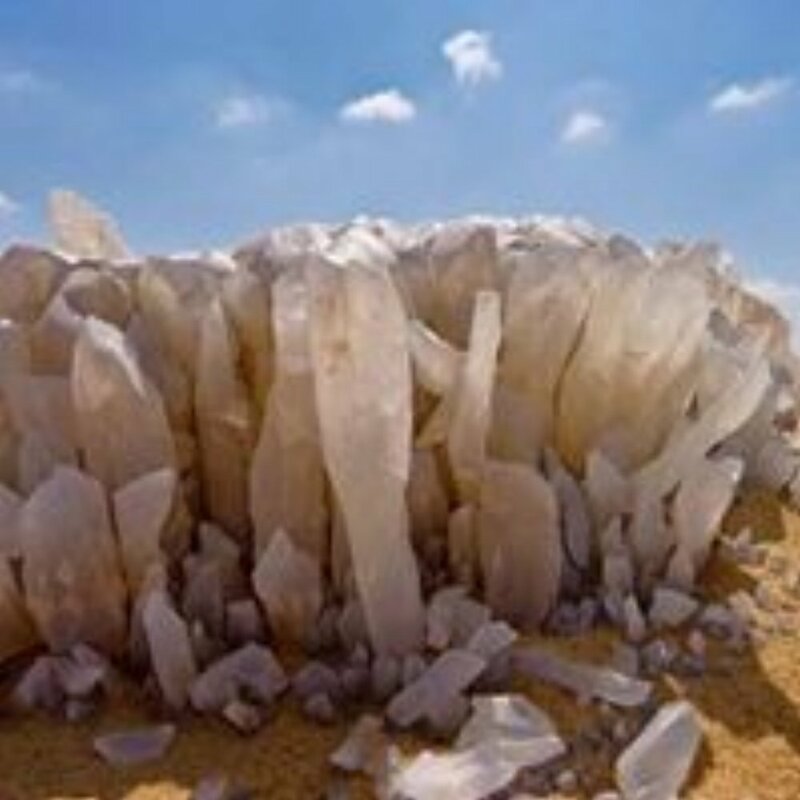 It is made entirely of calcite crystal that combine altogether to create a striking ridge standing up out of the desert. In essence, Crystal Mountain Egypt is an ancient Paleo that has been pushed to the earth’s surface, and is now in the process of being eroded away by the elements. The crystals themselves are calcite and quartz. 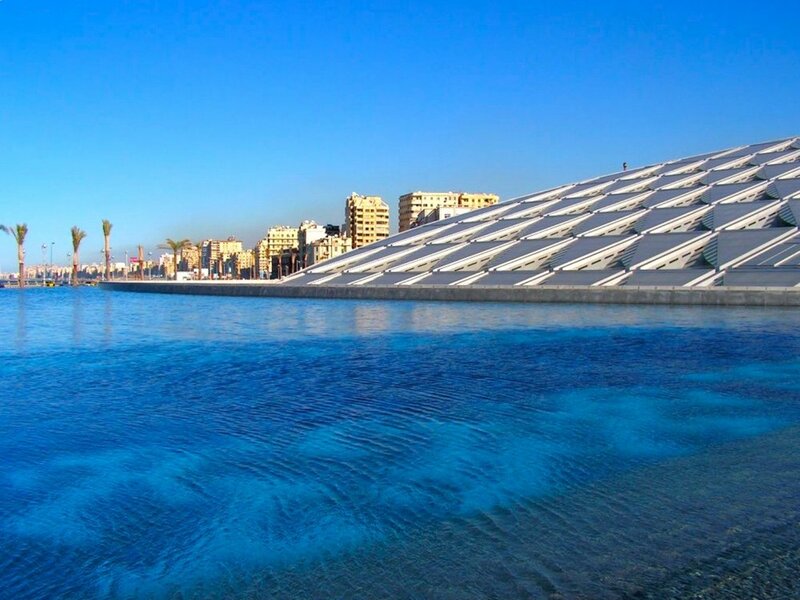 The Pearl of the Mediterranean has an ambiance more in keeping with its neighbours to the north than with those in the Middle East. Site of Pharos lighthouse, one of the Seven Wonders of the ancient world, the Temple of Serapis, the Serapion which was part of the legendary library at Alexandria as a seat of learning and once the largest and most prosperous city in the world. It also became infamous for the religious strife which resulted in the martyrdom of the philospher Hypatia of Alexandria in 415 CE. and of Anthony and Cleopatra’s tempestuous romance. The city was founded by Alexander the Great in 331 BCE. and grew from a small port town to become the grandest and most important metropolis in ancient Egypt. 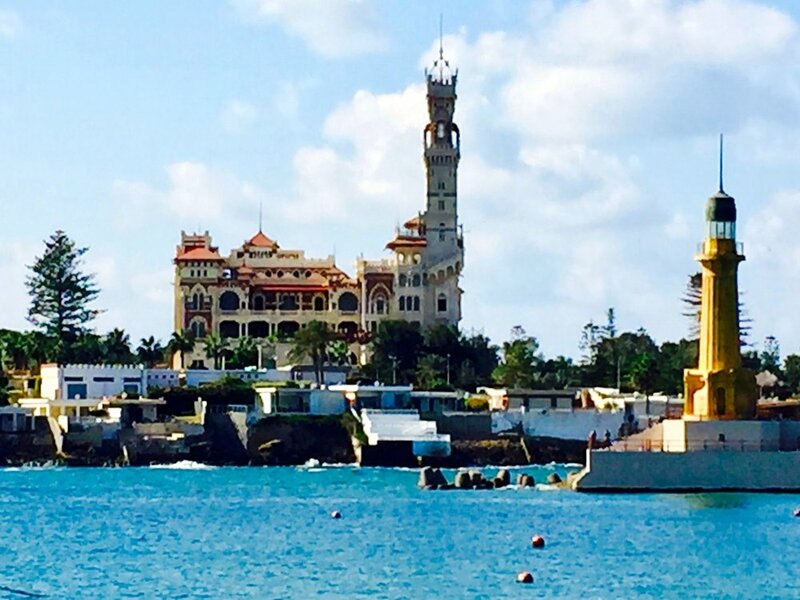 Today Alexandria offers fascinating insights into its proud Greek past, as well as interesting mosques, the casino strip of the Corniche, some lovely gardens and both modern and traditional hotels.